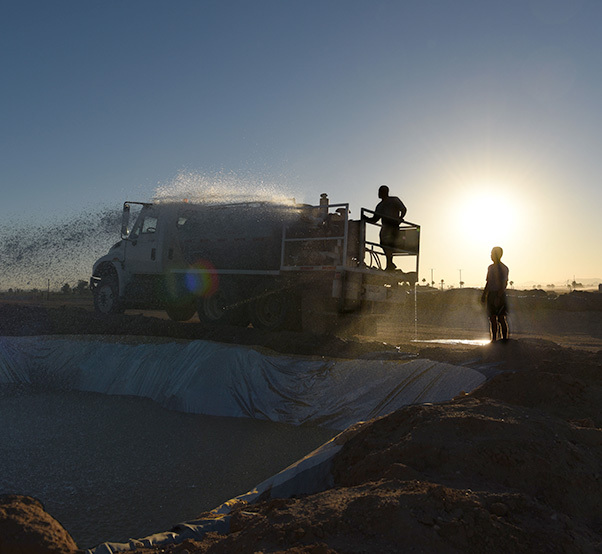 Airmen assigned to the 56th Civil Engineering Squadron fill an obstacle with water before the 56th Force Support Squadron’s 2018 Jump in the Mud 5K June 22, 2018, at Luke Air Force Base, Ariz. The pool was eight-feet deep and one of six obstacles throughout the course. 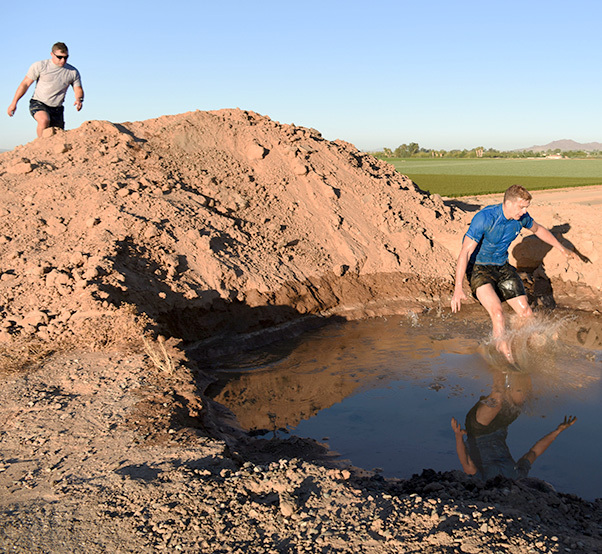 Airmen run through the first two obstacles of the 56th Force Support Squadron’s 2018 Jump in the Mud 5K June 22, 2018, at Luke Air Force Base, Ariz. Airmen had to crawl through an ice mud pit after running a half mile, followed by a muddy low crawl. 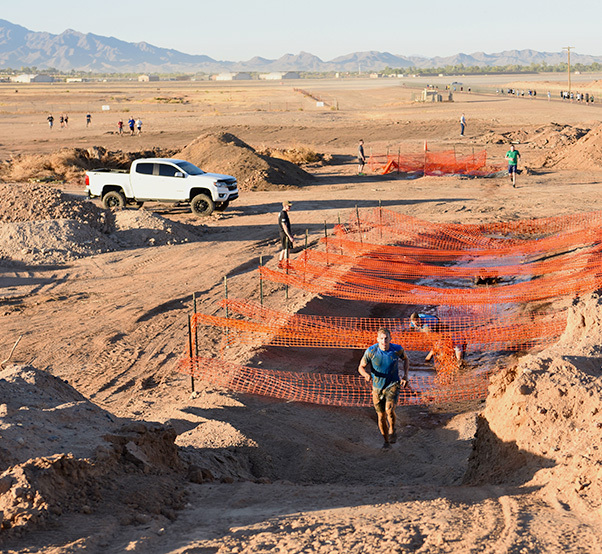 A participant crawls through an obstacle at the 56th Force Support Squadron’s 2018 Jump in the Mud 5K June 22, 2018 at Luke Air Force Base, Ariz. With the addition of some water, Luke’s desert locale makes it an ideal setting for some fun in the mud. 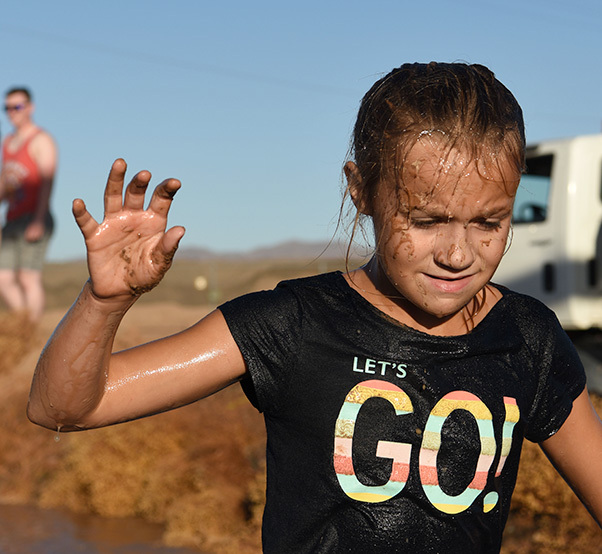 A participant fights through the last obstacle of the 56th Force Support Squadron’s 2018 Jump in the Mud 5K June 22, 2018 at Luke Air Force Base, Ariz. Children of all ages across base were encouraged to participate, making the event more family oriented. 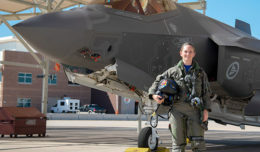 Airmen participate in the 56th Force Support Squadron’s 2018 Jump in the Mud 5K June 22, 2018 at Luke Air Force Base, Ariz. 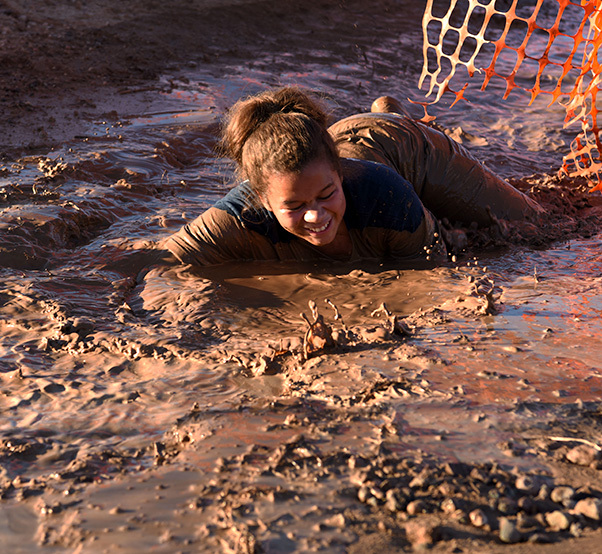 The mud run consisted of six obstacles that Airmen had to conquer.